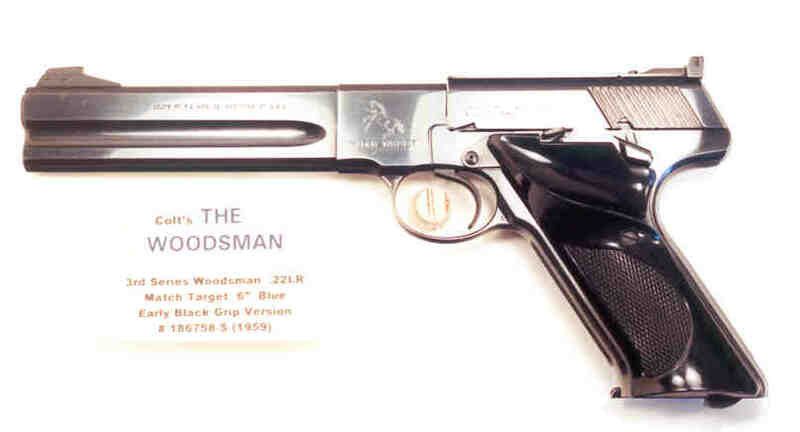 Woodsman 3rd Series Match Target .22LR 6" Blue, 99.5%, SN#186758-S (1959) with mint correct original black plastic grips w/thumbrest, mint bore, correct mag, correct Accro adjustable rear sight, Xerox instruction sheet, no box. Two minute freckles on left side barrel at front and one minute freckle on right side barrel. A striking example of an early 3rd Series match Target.